As the most credible public electronic media, RTHK developed swiftly in the field of new media, setting the standard for the industry. To satisfy customers with their need of customized radio station, RTHK approached 4D with the hope of establishing an integrated mobile application and thus expanding their scope in the new media platform. 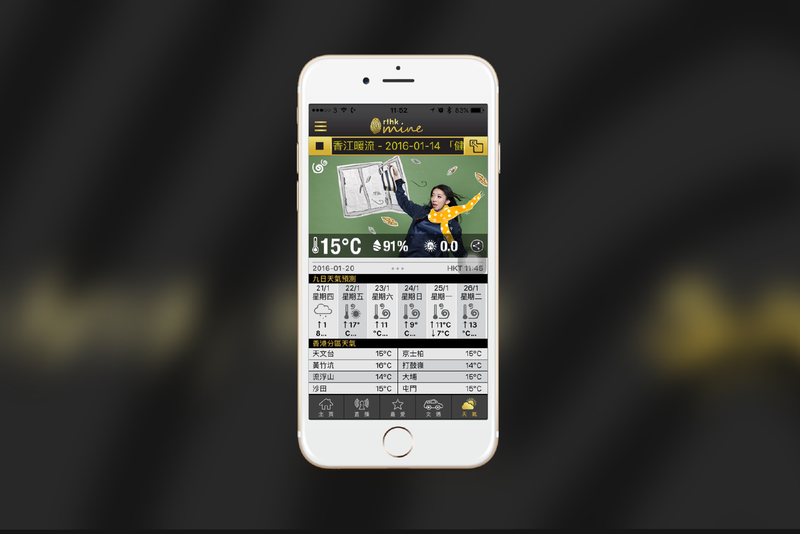 Alongside with the unprecedented intense competition for new media in recent years, RTHK fully utilized their professional image and experience gained in the past to initiate related mobile application. The challenge lies in entertaining the demand from current users and enhancing their experience, while struggling to crack the framework long adopted by traditional media so as to attract new users. Their ambitious request undoubtedly put our team under immense pressure.